Submitted 8 months 3 days ago by feeds_user. 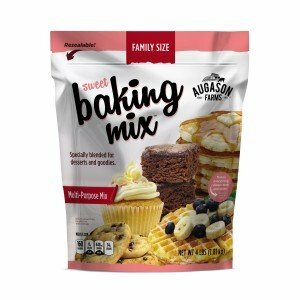 Augason Farms Sweet Baking Mix™ is a multi-purpose mix that's complete with the baking essentials you need to make all sorts of tasty goodies and treats. With recipes such as cookies, cupcakes, brownies, pancakes and waffles right on the package, this family size bag is a pantry must.